There are lots of great reasons to sign up for FREE eStatements at AEA! Register for online banking to get enrolled in eStatements automatically. For assistance with signing up for eStatements, call a Member Service Representative at 928.783.8881. Reduce the risk of identity theft and get your statements faster! 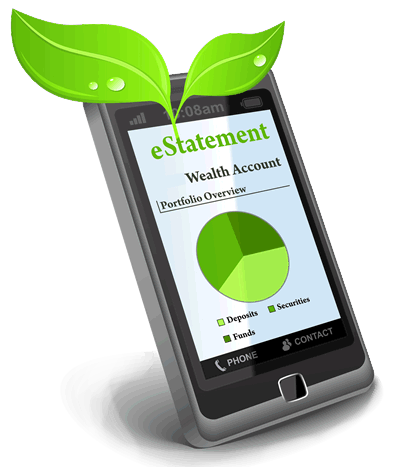 eStatements is FREE and saves you money on paper statement fees. It's fast and easy! Sign up in minutes on AEA Online Banking. Statements are securely archived in online banking. More safe and secure than paper statements. Reduce the risk of identity theft with statements sitting in your mailbox. Receive your statement faster - receive an email alert when your statement is ready to view. Save time and reduce paper clutter.